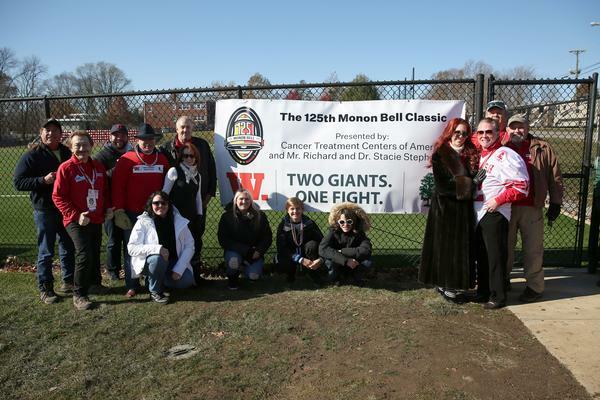 The Wabash College football team jumped out to a 14-0 lead and never trailed in a 24-17 win in the 125th Monon Bell Classic. 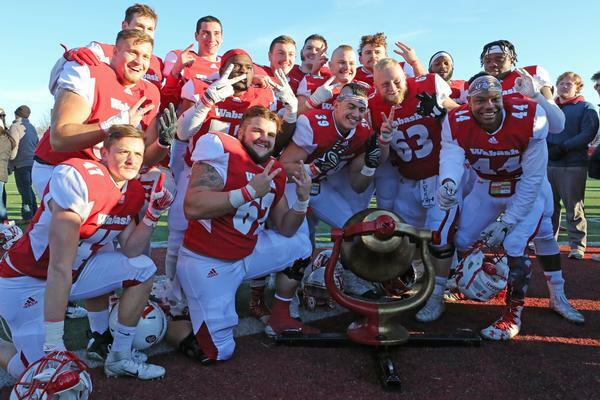 The Little Giants beat DePauw for the ninth time in the last 10 years and captured a share of the North Coast Athletic Conference Championship. 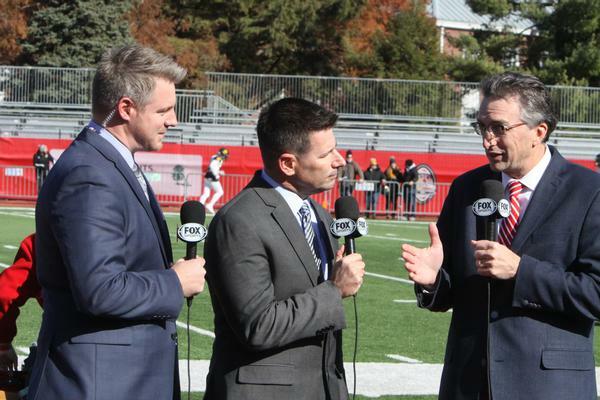 The historic 125th battle, televised live on Fox Sports and presented by Cancer Treatment Centers of America and Mr. Richard and Dr. Stacie Stephenson, was played before a sell-out crowd of 9,550. 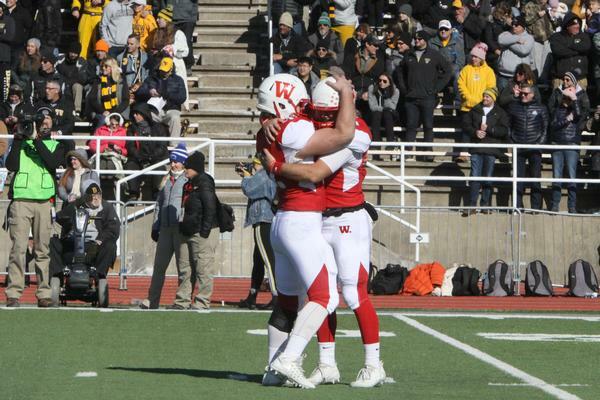 Head Coach Don Morel acknowledged the circumstances that forever changed the young men who suited up for Wabash. The Little Giants 9-1; 8-1 NCAC) played for their teammate, Evan Hansen, who died two months ago to the day. 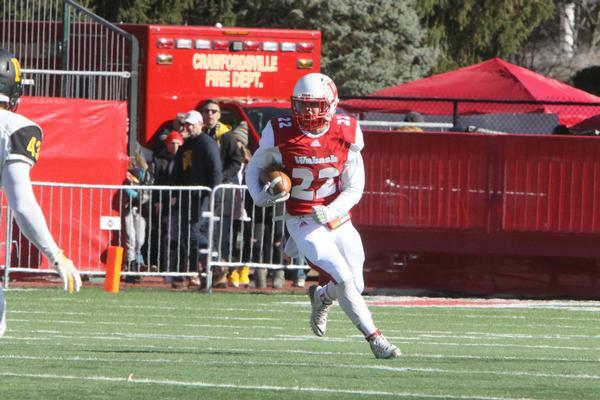 Quarterback Jake Reid threw for 232 yards and two touchdowns, and Isaac Avant ran 36 times for 150 yards against the NCAC’s best rushing defense. 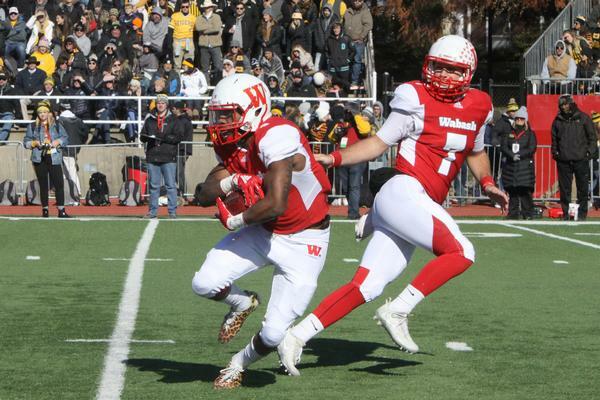 Big plays were the difference in the game and helped Wabash overcome a season-high three interceptions. 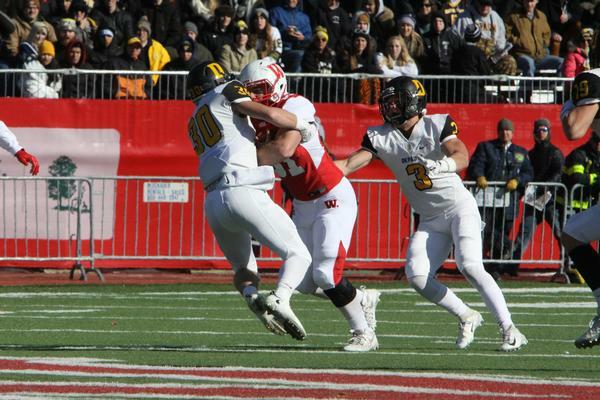 On the third play of the game, Reid hit a streaking Ryan Thomas on a slant that he took the distance — scoring on a 79-yard catch and run just 52 seconds in the game. 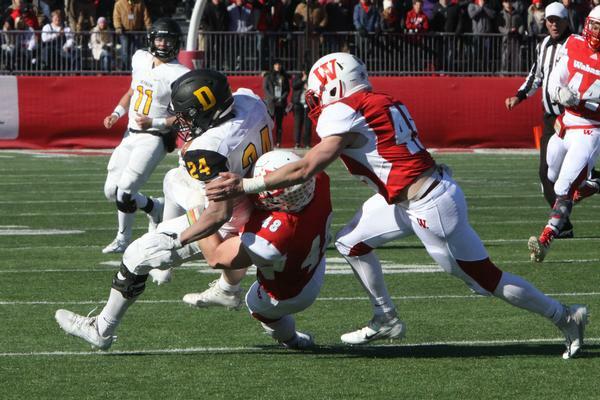 Later in the first quarter, DePauw quarterback Chase Andries was hit by Byshup Rhodes and fumbled. 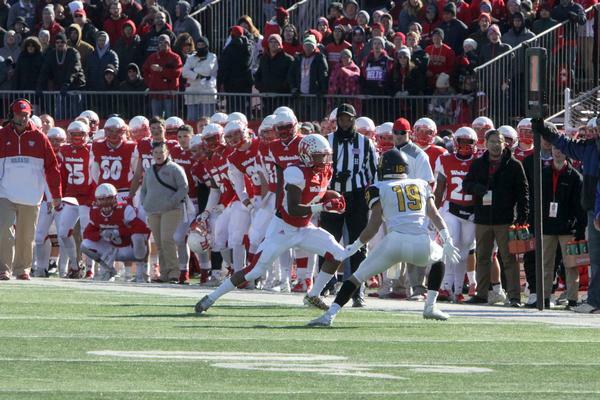 Rhodes scooped up the loose ball and rambled 54 yards and Wabash was up 14-0. 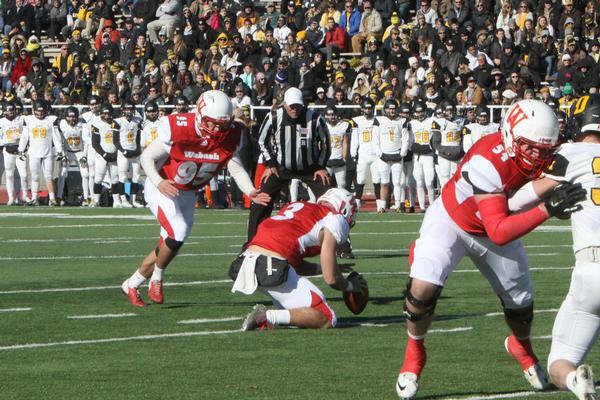 Andries shook off the fumble and led the Tigers on a nine-play, 78-yard drive. 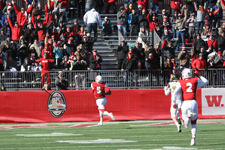 He connected with Andy Hunt on a one-yard pass on fourth-and-goal to close the gap, 14-7. 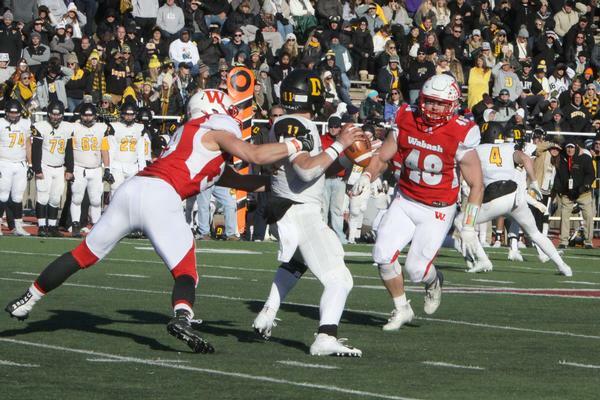 Wabash took advantage of a bad punt snap and started a second-quarter drive at the DePauw 29. 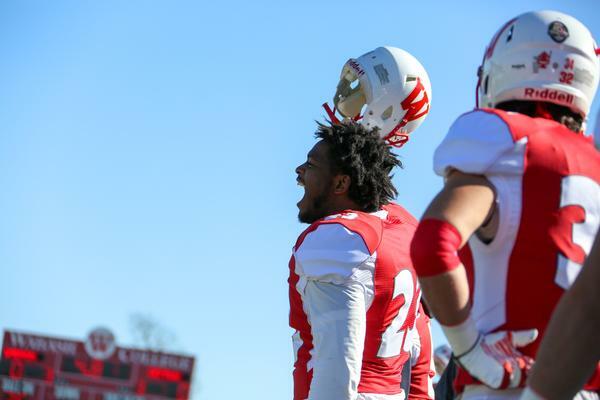 Avant rushed for 21 yards to get the ball inside the 10, but two straight incomplete passes set up Schuyler Nehrig’s 25-yard field goal, giving Wabash a 17-7 lead with 5:29 to play before half. 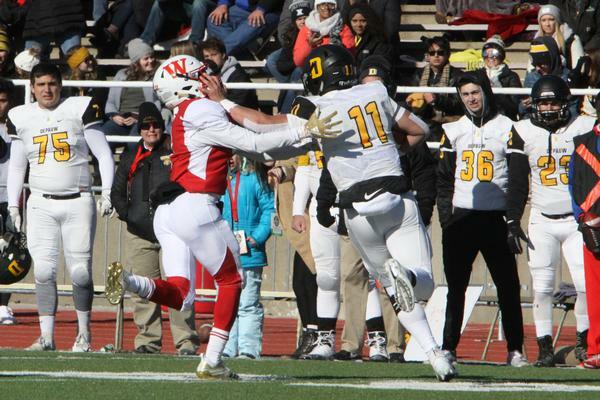 Andries again rallied DePauw, hitting senior all-NCAC wide receiver Andy Hunt on a 48-yard pass and connected with Michael Grace from 22 for a touchdown. 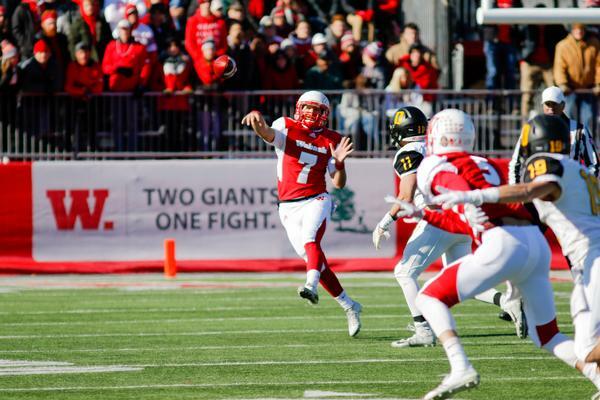 The Tigers drew within three, 17-14, but would never get closer. 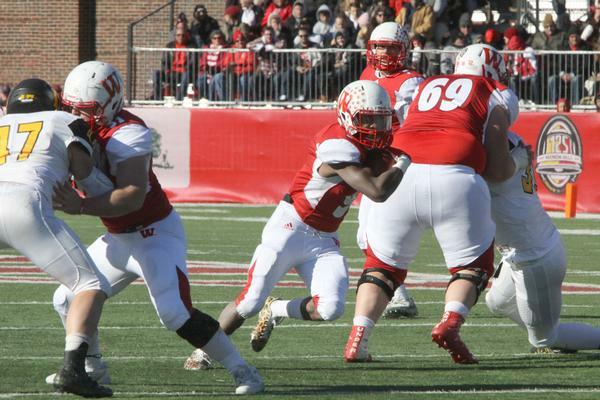 Reid and Avant methodically marched Wabash down the field to close the opening half. 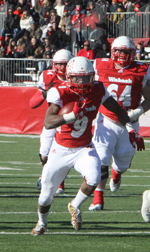 Reid hit senior Oliver Page for 14 yards and Ra’Shawn Jones for 29. Facing third and goal from the nine, Reid found his tight end, Ivan Martinez, wide open for the score and a 24-14 halftime lead. 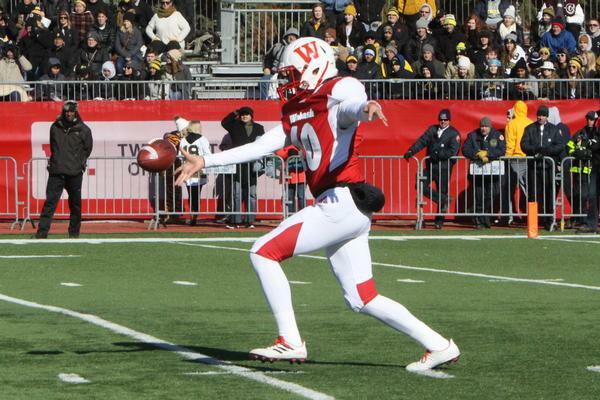 Reid threw interceptions on back-to-back drives to open the second half, but Wabash’s defense dug in. 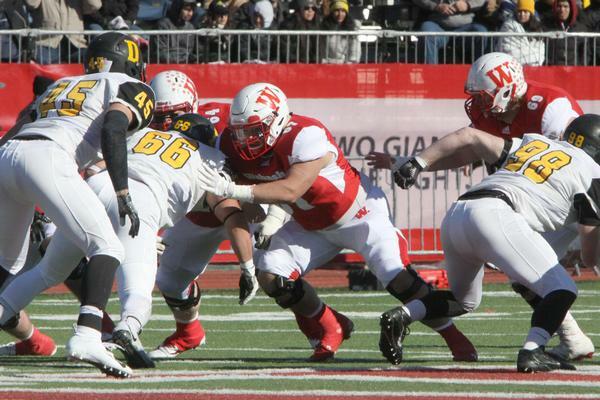 Jacob Helmer had the one of the team’s two sacks to end one promising Tigers’ drive. 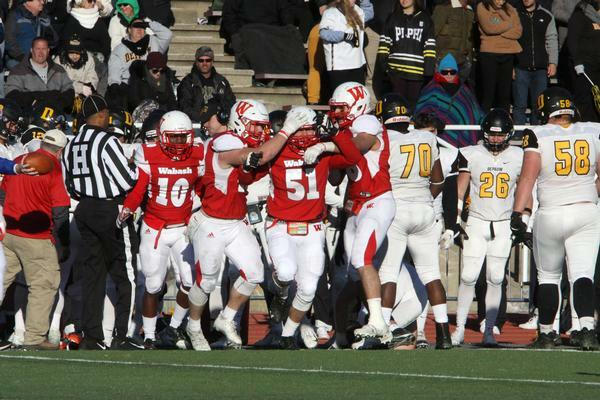 Wabash’s linebackers — Brandon Yeagy, Brock Heffron, and Jackson Garrett combined for 23 tackles in the game. 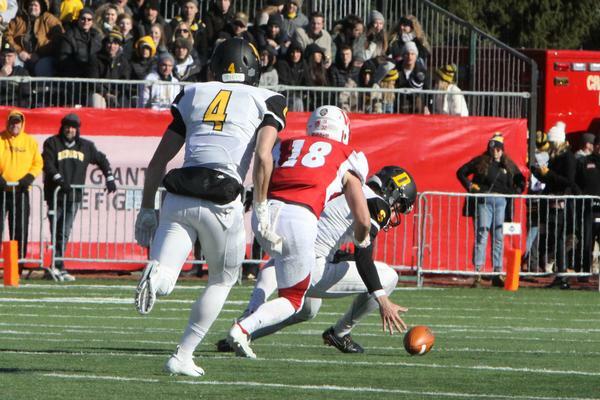 After Nehrig’s 37-yard field goal try clanged off the right upright, DePauw mounted a comeback effort. 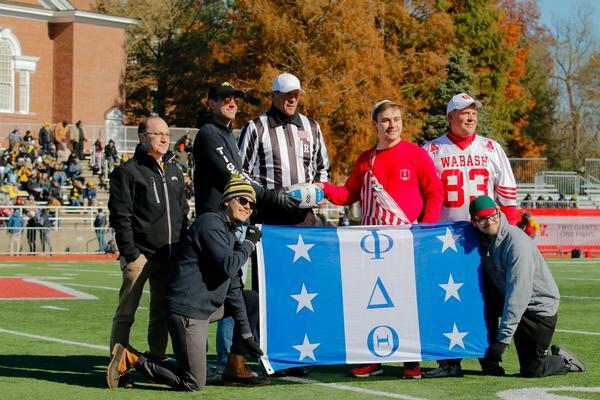 Andries rushed for 30 yards on the drive and got the Tigers to the Wabash 4 yard-line before a delay of game penalty on fourth down forced Jake Tanner’s 26-yard field goal to get DePauw within a touchdown, 24-17. 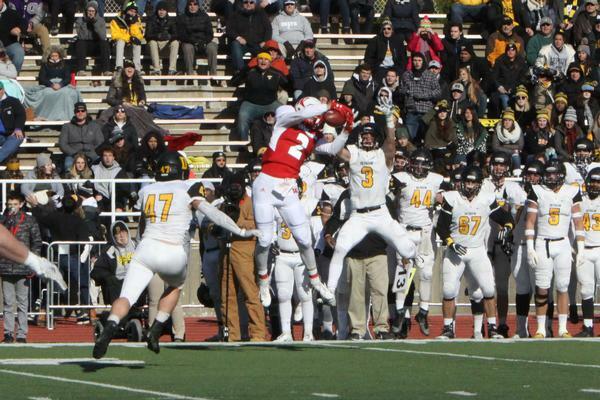 From there, Morel and the Little Giants went in clock-eating mode, grinding out a 12-play drive. 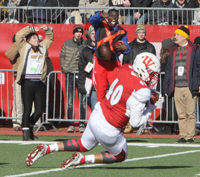 Wabash didn’t score, but drained over six minutes from the clock. 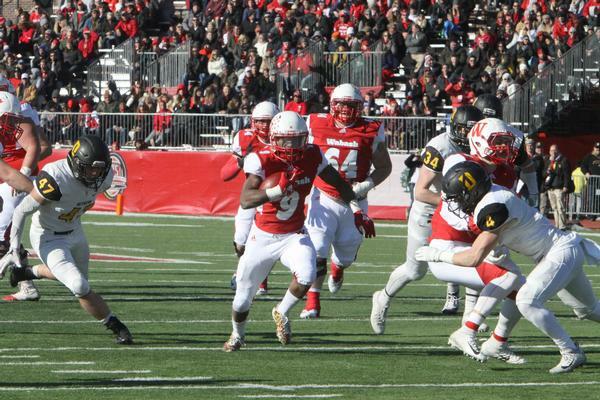 DePauw had one last chance to tie the game, getting the ball with 2:06 to play. 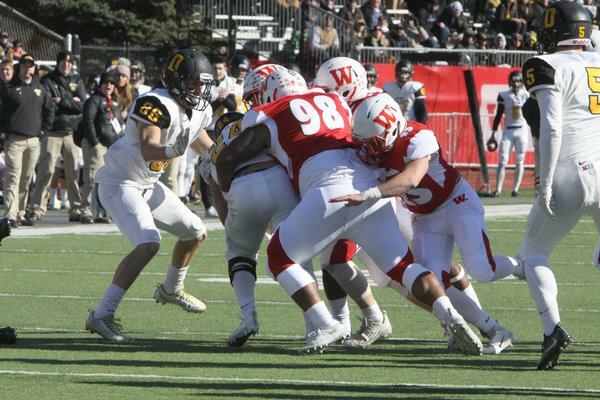 Andries hit Will Harris for 17 and 13 yards, but facing fourth down at the Wabash 45, Andries was flushed from the pocket and was picked off by defensive lineman Jacob Macaluso. 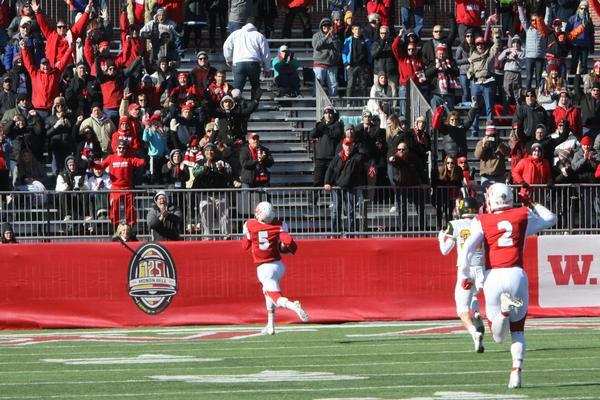 Ryan Thomas finished with three catches for 95 yards, while Page caught five for 73. 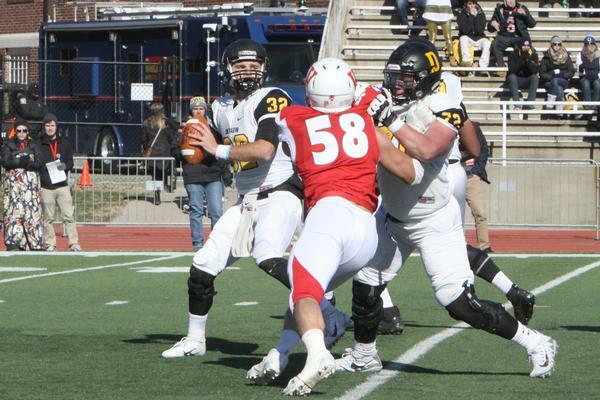 DePauw senior Matt Labus started the game for the Tigers. He tore his ACL in the season-opener, but won’t have surgery until December. A high school teammate of Evan Hansen, Labus wore his number 32, in tribute, but re-injured his knee and left the game in the first quarter. 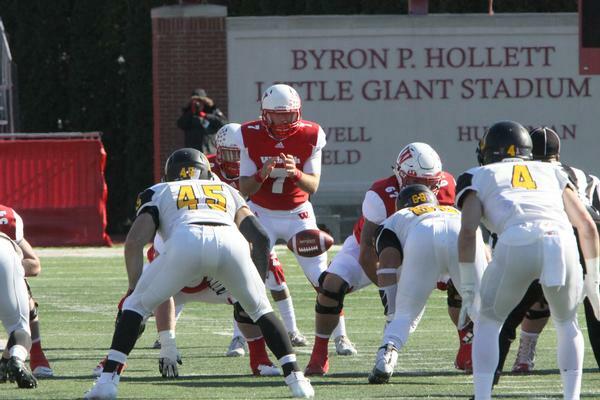 Andries hit 17-of-26 passes for 183 yards, while rushing for 42 yards. 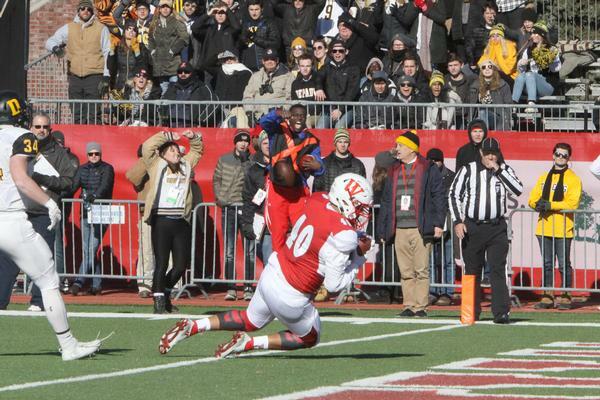 Andy Hunt again led the Tigers in receiving with eight catches for 73 yards. 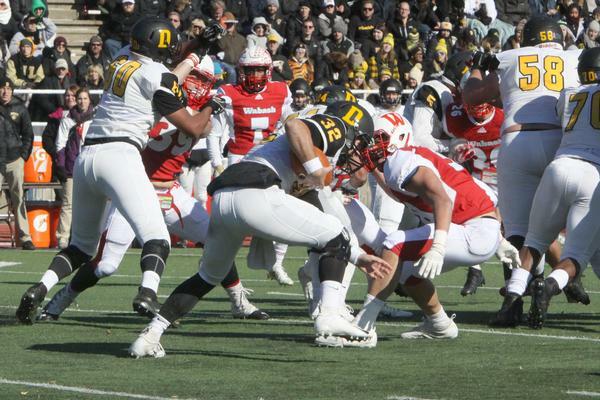 DePauw finished with a 4-6 record.